1. Cut down your use of paper products especially paper towels and plates. If you have one, use a dishwasher as its far more energy efficient than hand washing dishes and helps save the environment. The new energy star dishwashers can save you money as they use less energy and water, but if you choose to use paper products, I recommend purchasing recycled paper products. 2.When replacing older appliances, purchase the most energy efficient brand you can afford. Shop around and look for appliances with the best energy savings. ( look for the Energy Star label). Purchasing a garage sale refrigerator for $50 may seem like a good idea at the time, but between the energy drain and electrical cost to run it, you will pay a lot more in the long run than you would have if you invested in energy start appliances. 3. Save water when showering. Turn the water on – get wet – turn the water off – soap up – lather up – turn water on – rinse – turn water off. You can receive tremendous savings on your water bill with this one idea. Also turning off the water while brushing your teeth is another way to save. 4. Unplug anything not being used. Even your phone charger by your nightstand. Simply unplugging appliances and electronics not in use will save energy and therefore money. An old tip but one well worth the time to remember. 5. Invest in a smart technology system that allows you to control lights and heating/air conditioning from your smartphone. You may have your heating/air system on timers but if you are running late, you can change the settings from your phone. Same with lights at night. You can set them so they go on at a certain time or when you are closer to home. Some of these tips are “refreshers” and some may be new. 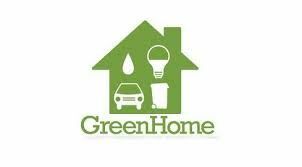 Your next home may include solar panels and state of the art energy efficient construction but in the meantime, do what you can to go green.